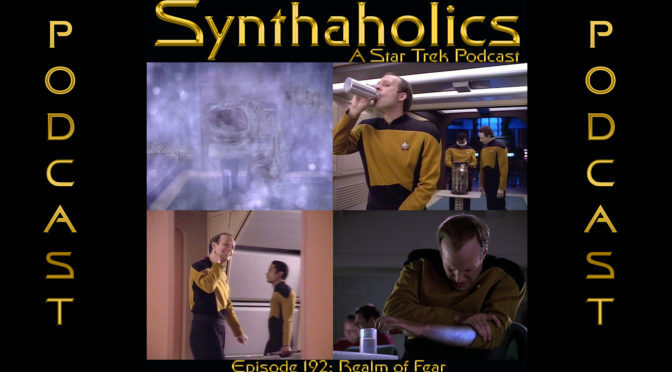 Arron, Holly, and David are back this week to talk the TNG Episode Realm of Fear! No Star Trek news this week but the next Short Trek will be out before we record next week so we should of that to talk about next week. Realm of Fear is one of the Next Generation Episodes that features Dwight Schultz as Barclay! Barclay is one of our favorite recurring characters in Star Trek, so it’s about time we do an episode that is all about him. In this episode we learn Barclay has an extreme and possibly irrational fear of being transported. Barclay must overcome his fears to help solve the mystery about what happened to the USS Yosemite. 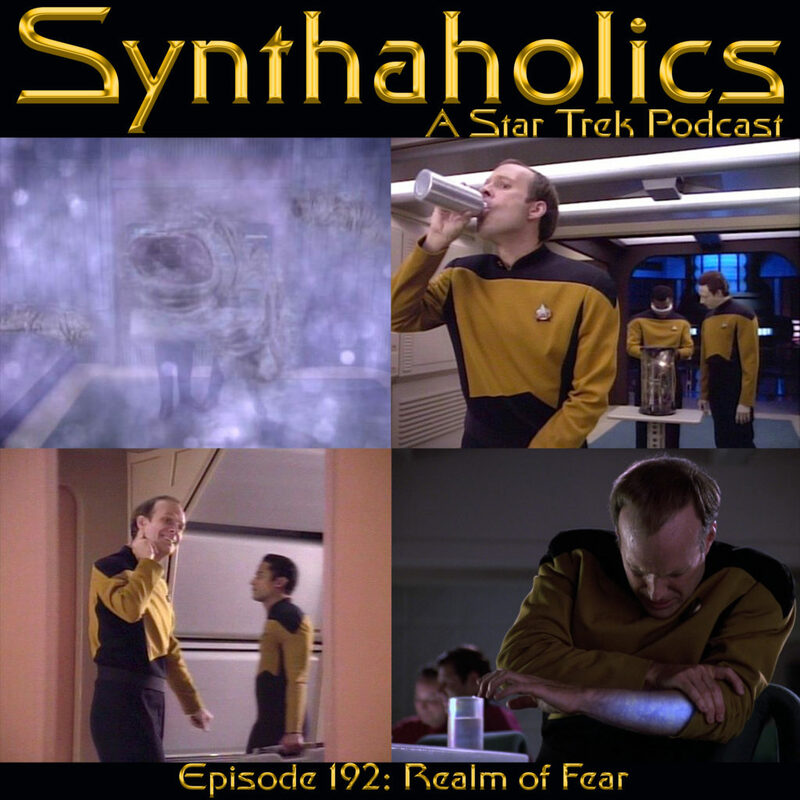 Because this episode focuses on his fear that seems to be on the irrational side we get into a discussion on what some of our irrational fears are! Pour yourself a drink that will help calm your nerves it’s time for your weekly shot of Star Trek! 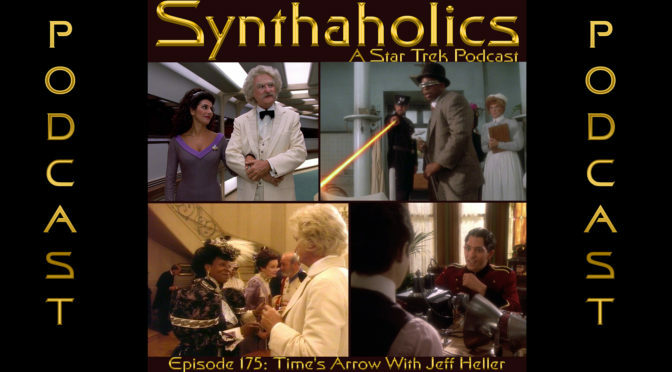 Aaron and David welcome Jeff Heller, of Film Dumpster, to the show to discuss the Star Trek TNG two parter Time’s Arrow. Before we get into the episode discussion Jeff talks to us about Film Dumpster and what they do there. San Diego Comic Con was this past week so we talk the trailers for Star Trek Discovery and The Orville season 2. 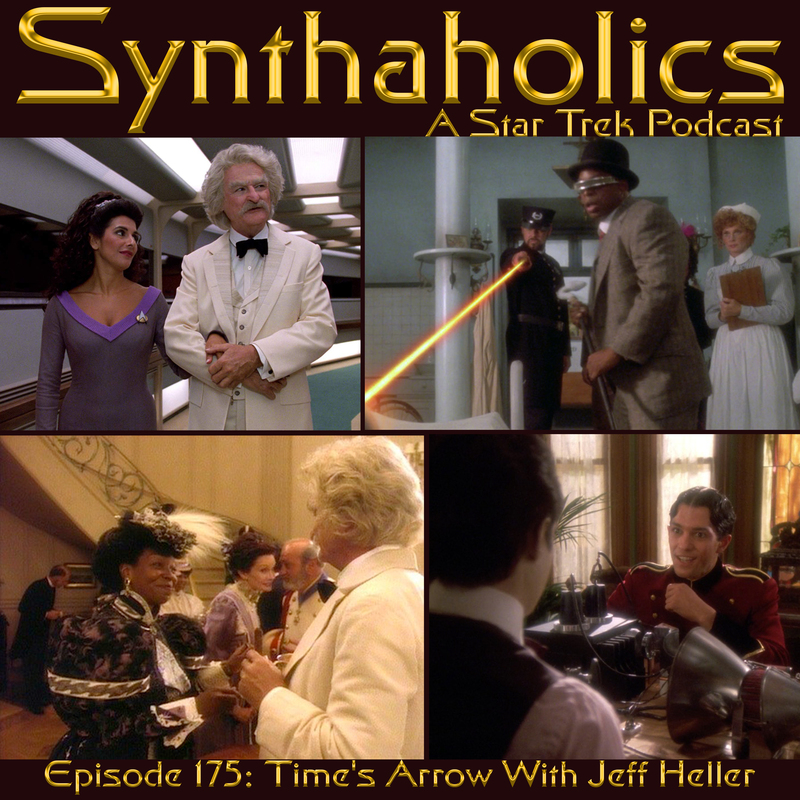 Jeff is a big fan of time travel so Time’s Arrow was a great episode to talk about. In this episode the crew of the enterprise go back in time to stop these soul sucking aliens and to find out why they found a 500 year old Data head. In this adventure they meet up with Ginun of the past, Jack London, and Mark Twain! Time to make yourself an Old Fashioned it’s time for your weekly shot of Star Trek!